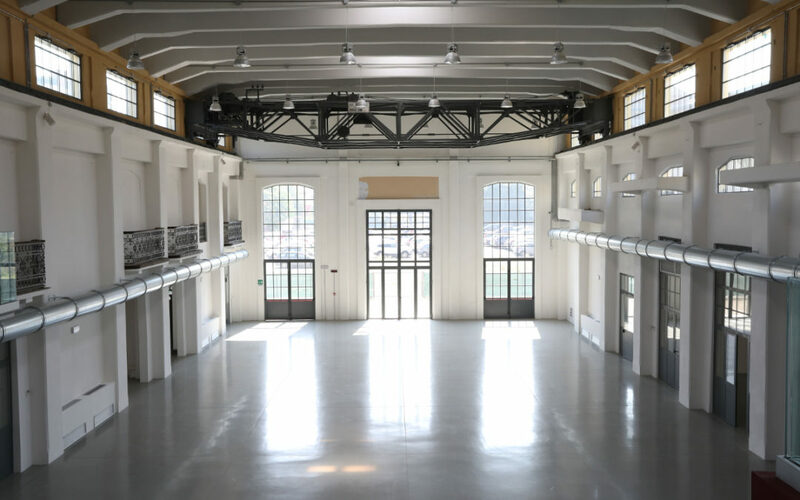 The Artistic Direction of Trasparenze Festival and Konsulta reconfirm their interest in studying the means of expression of contemporary art for Trasparenze Festival – 7th edition, thereby opening a Call for artists for Cantieri project. Since this edition’s project is being realised in cooperation with Laboratorio Aperto Ex Centrale AEM Modena, the relationship between artistic creation and new technologies has been established as a guideline. WHAT WE ARE LOOKING FOR: The Call is addressed to companies and artists who are used to incorporating new technologies in their work, but equally to those who wish to experiment it. Theatre and dance companies, performers, visual artists, photographers etc. We are not looking for plays, performances or other products. We are looking for artists willing to share their working method and raise a discussion about the means of expression they use. WHAT WE OFFER: Companies and artists will be offered the possibility to use a residency space in which they can focus on the creative process rather than building a finished artistic product. The selected artists will be assigned a theme which must be developed during the four-day residency, inside a given space and with an arranged technical equipment they can dispose of. The artists will be guaranteed a cachet and hospitality expenses on the days they will be staying in Modena. The residency will end with the presentation of their work to the audience of Trasparenze Festival on Sunday 5th May, in the evening, inside the above-mentioned space. Please write “Proposal for Cantieri #Trasparenze7” in the email subject line. The selection will be curated by Konsulta, supported by the Artistic Direction of Stefano Tè, Trasparenze Staff and a representative from Laboratorio Aperto Ex Centrale AEM. The outcome of the selection will be notified by March 20, 2019. “Bearing in mind the task which Konsulta is going to hold during the development of the project, we are looking primarily for artists who wish to take a challenge and feel ready to welcome us. We do not want to represent a disturbing presence, but a stimulating one, for both the artists and the spectators. The project was conceived by Teatro dei Venti with the purpose of connecting the means of expression of the independent art scene, social contexts and urban spaces. At the base of this wide-ranging project – turned to the contemporary but never losing sight of the popular – stand the contamination of places and audience, the elaboration of new creative processes and new forms of interaction. Trasparenze is not just an opportunity for artists, operators and miscellaneous spectators to come together. It aims to be a place in which creative models and processes may be given value, to enliven art during this discouraging historic time. The education of a self-aware audience – starting from young people, who will be the only spectators in the world of tomorrow – stays at the core of the project. This is the reason why Konsulta was born. Konsulta is a group of young people – between 16 and 30 years old – which has helped the Artistic Direction in choosing the shows for the Festival and contributed in its artistic ideation over the years. The Festival was born in 2012 by the joint efforts of Teatro dei Venti in Modena and Officinae Efesti in Naples. From 2015 onwards, a part of its schedule takes place in the prison of Modena, with the realisation of workshops and plays for prisoners and an external audience; in 2018 the Festival entered the prison of Castelfranco Emilia, too. Trasparenze Festival – 7th Edition will be held from May 2 to May 5, 2019.